This week’s episode of Awake, Guilty, did little to progress the mythology of the show, but did address how Michael’s son and wife were coping with the loss of the other in each reality. There was no further mention of the ending from last week regarding the car crash. Things were very similar in both worlds–so much so that Michael could use sleeping pills to go to sleep and find out where a falsely convicted man had a hiding place in the dessert after his counterpart was killed in one realilty. Having things be so similar, including both having hide outs in the same location, was a different situation from last week when the same person was a fertility specialist in one reality and a homeless man in the other. The previews suggest that next week’s episode will again have a character who is different in each reality. The Fringe Team’s favorite Walterisms, collected at WonderCon in the video above. So how long have you know about the juicy nugget that you’re the big, bad wolf? When you auditioned to the show, they didn’t say, “Hey, by the way . . . “? MEGHAN: They did not tell me. They did not. I think it might have changed a few things about my audition perhaps. But it was very exciting when I found out. What did you think when they first told you? Did you think, “Oh no!” or “Oh, cool!”? MEGHAN: I was intrigued. I thought it was a really cool twist and something that most people probably wouldn’t see coming and it was kind of something different for the show too. So I was pretty excited about it. Did it start informing your performance once you found out? As far as changing the way you were portraying Ruby? MEGHAN: A little bit. But not too much. I had a pretty good idea what I wanted to do with her. 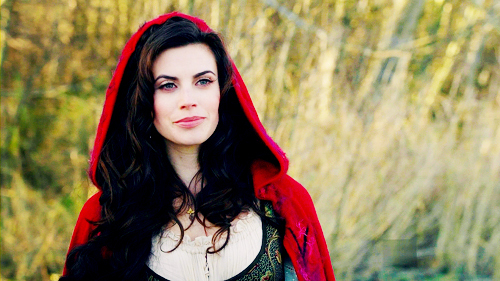 And also since we hadn’t seen the wolf in Storybrooke, it was more a Red thing, and we hadn’t seen Red that much. Have they clued you in on whether Ruby can transform in Storybrooke, or is that part of the curse? That isn’t something she has to worry about? MEGHAN: Well, I think that’s going to be a very interesting story to find out about. Jennifer Morrison talks about what is coming up on the show here. Gatiss points to certain theories beyond his wildest imagination, and admits to being happily shocked by the frenzy that surrounded Holmes’ jump. “I’ve never known something become such a public talking point.” And one that shows little sign of abating. “It’ll be worth the wait,” he promises. According to the BBC’s in-house magazine, Sherlock won’t begin filming until early 2013, meaning that we won’t see a resolution to the cliff hanger until at least spring. 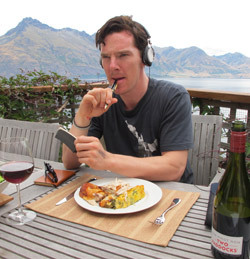 We might not have that answer, but if anyone is wondering about Benedict Cumberbatch’s favorite songs, they can check here. This season, except all 18 episodes of The Office, all six episodes of Smash (following The Voice), three episodes of Shitney (1.01, 1.02 and 1.03, all after The Office), three episodes of Up All Night (1.01 (after the America’s Got Talent finale), 1.02 (time-period première) and 1.04) and the season premiere of Law & Order : Special Victim Unit, not a single scripted NBC show has done better than last Thursday’s Community episode. The demographics of the viewers were also quite favorable. Favorable reviews, such as this one from The New York Times, is certainly helpful. Community has also been picked up for syndication by the Comedy Channel. Another few years worth of episodes should make syndication even more lucrative. Huffington Post has a handy chart of all the relationships on the show. With Jeff’s ties to both Annie and Britta, will there be any kind of development in either (or both) of those relationships this season? There’s no romantic development really; there will be little things here and there. But as Dan has always done, he mixes up the couples all the time. It’s like being in a really close group of friends in high school – they keep pairing up in different ways. But because the group has to fend for its life against all these outside pressures–like the air conditioning repair school, Chang’s ascent to power with an army of 13-year-old boys he gets from a Bar Mitzvah, and the group gets expelled–those things have to be resolved first. How long is the group expelled for? They’re expelled forever. They all go work at a Jamba Juice together. This has often been called the darkest season of ‘Community’ – any hints or teasers as to how things get darker in the coming episodes? A few characters die, in a hilarious way – that’s dark. Troy and Abed get into a pretty big fight. There’s a full-scale blanket fort war. It’s not like it’s become macabre or scary, but it definitely gets darker than usual. But I think that’s where Dan and the other writers operate best. 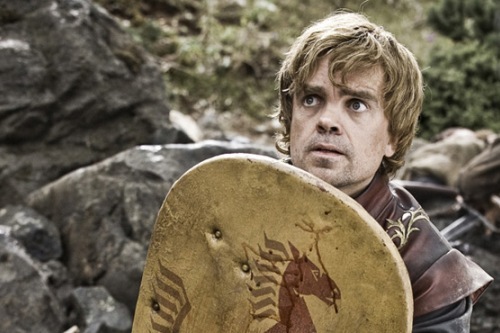 One of the most praised episodes of last season was the Dungeon and Dragons episode (“Advanced Dungeon and Dragons”), which dealt with a guy who was going to commit suicide. So I think the writers are happy to dance around the lasers right now. Among other genre shows, Once Upon A Time is believed to have an excellent chance for renewal and Person of Interest was officially renewed in the past week. Over at Fox, Terra Nova has officially been cancelled while Alcatraz and Fringe remain in danger. The movie version of 24 has been delayed, but now there are reports that it will be turned into a trilogy. Posted in Science Fiction, Television. Tags: 24, Awake, Benedict Cumberbatch, Community, Fringe, Game of Thrones, Mark Gatiss, Once Upon A Time, Person of Interest, Science Fiction, Sherlock, Steven Moffat, Terra Nova. RSS feed for comments on this post.. TrackBack URL.